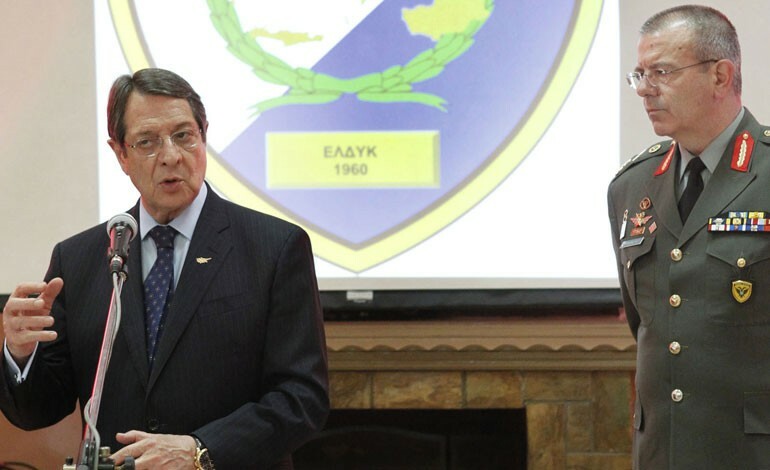 Nicosia has expressed grave concern over Turkey’s questioning the sovereign rights of the Republic of Cyprus to its exclusive economic zone and its exploration and exploitation of natural reserves. Permanent Representative of Cyprus to the United Nations Ambassador Nicholas Emiliou, in a letter addressed to the UN Secretary-General Ban Ki-moon, which circulated as an official document of the General Assembly and the Security Council, noted that Turkey’s fulfillment of all its obligations arising from the UN Charter and international law is the only mutually beneficial path ahead. In his letter, Emiliou expresses the government`s “grave disappointment and concern over a press statement issued by the Turkish Ministry of Foreign Affairs on 25 March 2016, which constitutes yet another example of Turkey’s continued provocative and destabilizing attitude vis-à-vis the Republic of Cyprus”. The Republic of Cyprus, he points out, exercising its sovereign right, in accordance with international law, including the United Nations Convention on the Law of the Sea, has recently called for a third international tender for hydrocarbon exploration in its exclusive economic zone. The tender was published in the Official Journal of the European Union on 24 March 2016. In its press statement, the Ministry of Foreign Affairs of the Republic of Turkey continues to call into question the sovereign rights of the Republic of Cyprus to an exclusive economic zone and its exploration and exploitation, said Emiliou. Turkey’s deplorable position, he continued, “based on an arbitrary interpretation of international treaties and conventions, is totally unfounded and lacks any legal basis. In addition, it constitutes further proof of its continuing refusal to comply with international law and relevant Security Council resolutions, especially resolutions 541 (1983) and 550 (1984)”. The Permanent Representative said “it would be redundant to underline once more that the Republic of Cyprus, a State Member of the United Nations, is fully entitled to legitimately exercise all its sovereign rights deriving from international law over both its land and marine territories, including the sovereign rights over its exclusive economic zone and continental shelf, as guaranteed by the United Nations Convention on the Law of the Sea, which was ratified by the Republic of Cyprus in 1988”. He described as “regrettable that Turkey uses as a pretext for its assertions the “protection of the rights of the Turkish Cypriots”. The Government of the Republic of Cyprus has repeatedly made it abundantly clear that “Cyprus’s natural wealth belongs to the people of Cyprus — that is to say, to all citizens of the Republic of Cyprus. Following the resolution of the Cyprus problem, all people of the island will reap the benefits of their country’s natural resources”. The rights of the Turkish Cypriots will be best served in the framework of a comprehensive settlement of the Cyprus problem, said Emiliou, which will allow all Cypriots to live in conditions of peace, dignity and prosperity. 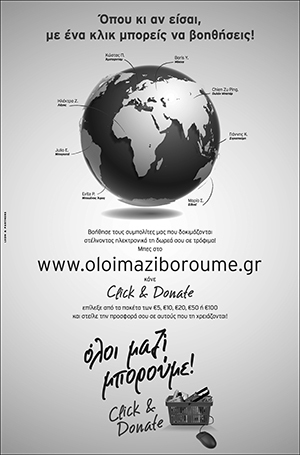 It is in this way that the exploitation of Cyprus’s hydrocarbons will benefit all Cypriots and guarantee a prosperous future for generations to come. Hence, the Cypriot diplomat noted, “it is in this direction that Turkey should be concentrating its efforts, adopting a constructive attitude towards a settlement of the Cyprus problem, which will result in the reunification of the country, its people, its economy and its institutions”. 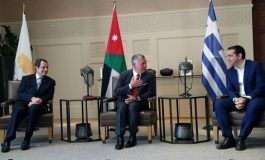 Emiliou said it will take several years before any financial benefits materialize from the exploitation of hydrocarbons in Cyprus’s exclusive economic zone and “it is therefore of utmost importance that the Cyprus problem be solved by then. We remain confident that this can be achieved, if the Turkish side shows the necessary goodwill and contributes positively and in a concrete way, within the agreed basis of the talks, to the negotiations under way in order to reach a solution in a timely manner”. Emiliou underlined that Turkey’s fulfillment of all its obligations arising from the Charter of the United Nations and international law is the only mutually beneficial path ahead and the way forward for Cyprus and its people to benefit from its natural wealth. 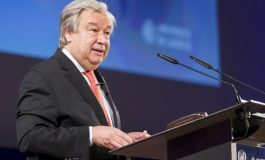 “The Government of Cyprus remains determined to uphold and protect its sovereign rights to explore and exploit its natural resources within its exclusive economic zone under international law, including the United Nations Convention on the Law of the Sea, using all peaceful means at its disposal”, he stressed. Emiliou reiterated Cyprus` call for Ban to convey to Turkey a firm message that “it must conform with international legality and honour its obligations under the Charter of the United Nations, respect the sovereignty and sovereign rights of all States Member of the United Nations and contribute in a concrete way to the efforts for a settlement of the Cyprus problem and the promotion of regional peace and stability”. President of the Republic of Cyprus Nicos Anastasiades said on Wednesday that everyone involved, and particularly Turkey, must realise that wishes are not enough for the settlement of the Cyprus problem. He added that everyone involved, and particularly Turkey, must realise that wishes are not enough, adding that for 42 years now we have been listening to the same declarations. 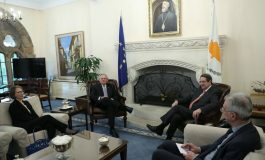 Anastasiades expressed hope that developments concerning the energy sector, Turkey`s aspirations regarding its European orientation or to turn into an energy hub, as well as other motives, will contribute to the encouragement of the Turkish Cypriot leader “so that we will be able to reach a solution accepted by everyone”.